Location, Location, Location!!! How true. Especially when you are considering a vacation spot. 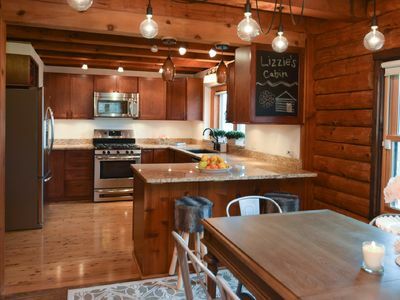 Well, this charming cottage is lake side, on the east side of Canandaigua Lake, which surveys say competes with Tahoe as "the prettiest lake in the country". 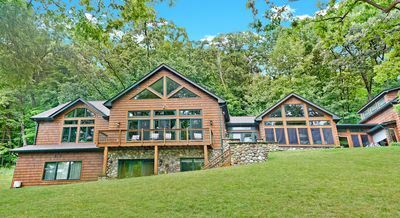 This house sits on Nibawauka Beach, serviced by a private road coming off East Lake Road that leads to a private access road for all the cottages on the Beach. Our neighbors are wonderful people and many of them are year-round residents. There are a couple of families with active children. 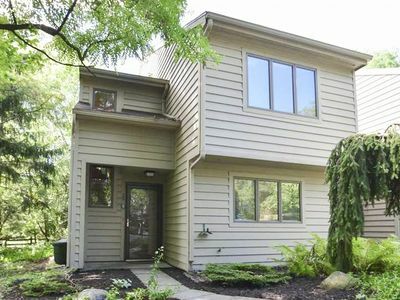 So we tell prospective renters right away that this is not a "party house". It is a lovely spot on a lovely lake but if you're interested in late night action you should look elsewhere. The house is lovely, but basic, and sleeps ten. No chrome. No plastic. No TV---but you're welcome to bring your own. A Bose radio is included. Wi-fi is available. 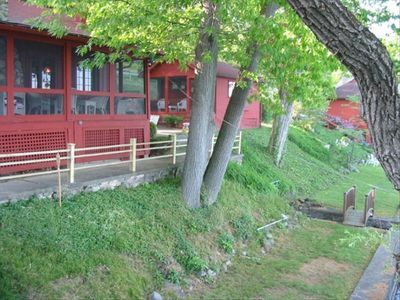 There are four bedrooms, a sleeping porch on the second floor, and a fold-out couch on the front (lakeside) porch. The dining room table seats eight or ten. The living room has three comfortable arm chairs and the large sofa, as well as a very efficient gas heater for the "cool" days. The kitchen has a gas stove, plenty of pots and pans, plenty of dishes and glasses, standard electric "fridge" and freezer, and lots of light. There is a full bathroom upstairs and a toilet in the barn out back. We are on city water, city gas, and city plumbing. Outside, the front (lakeside) lawn has a large picnic table with benches, another smaller round table with four separate chairs, and several very comfortable old "sitting" chairs. 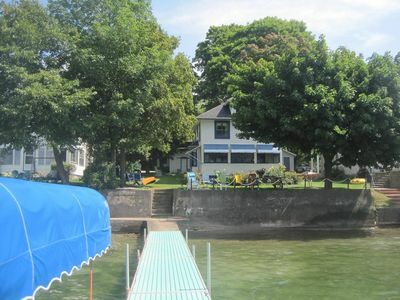 Shade is provided by a maple on one side and three shade trees on the other, but the middle of the lawn is open and sunny The lake is down a flight of concrete steps to a concrete dock and an extended aluminum dock that leads out about fifty feet. The water at the end of that dock is only about 5 feet deep. An adult can walk out about 100' into the lake and still have his/her head above water. Several times a day several families of ducks paddle calmly past us, but we don't feed them. 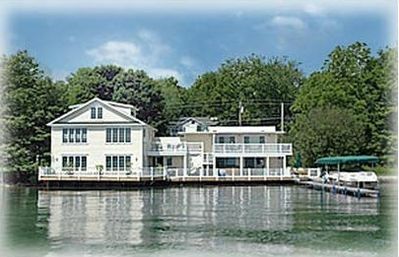 The Canandaigua Yacht Club is directly across from us and the weekend races are delightful to watch from our front lawn. City-run fireworks are easily seen from the lawn. The sun and moon set calmly over the hills on the other side of the lake over a mile away. We have a sturdy boat hoist that is listed to handle up to 3600 pounds of boat. It is electrically powered to lift and lower. Fishing is productive at times right off the end of the dock, and certainly better if one takes a boat out into the lake. Rock bass, sunfish, perch, "punkin seeds", etc. are commonly caught and released. Pickerel, large- and small-mouth bass, three species of trout, and catfish are also caught in the lake. 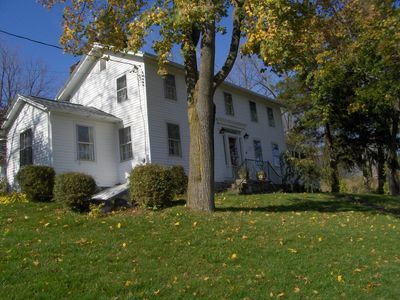 The "barn" in not included in the rental program. But it has a fully functional toilet in a a room just inside the back door that is very convenient. 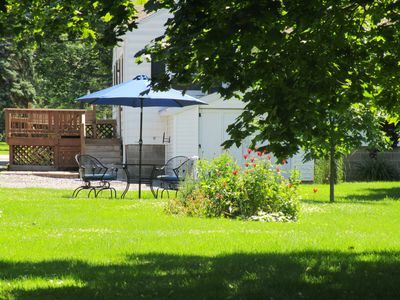 The lawn between the house and barn is a pleasant place to sit and let the world go by. We have shade from the big silver maples, and nice neighbors. Garbage service is included in the rental and is collected once a week. Adequate parking is provided just off the beach road beyond the barn on our "very back yard". We are starting some small silver maples to replace someday the big ones along the private road, so please don't drive over the little ones. Thank you. 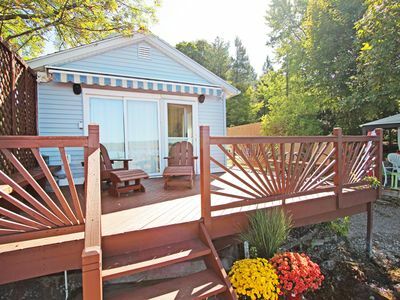 In short, our cottage is in a particularly nice location, privately situated but with easy access to amenities, golf, wineries, and local attractions. Ice cream shops are a short boat ride away, as are good restaurants. 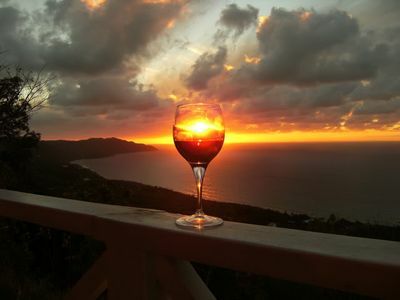 Sunsets are miraculously beautiful. 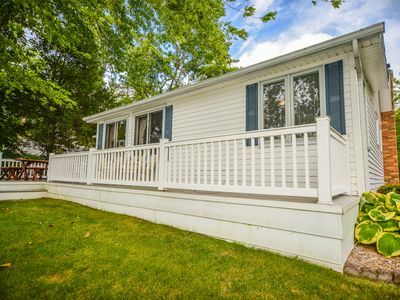 Oh, and our "very back yard" is large, grassed, protected, and perfect for children's games, golfer's chipping, and bocce contests. 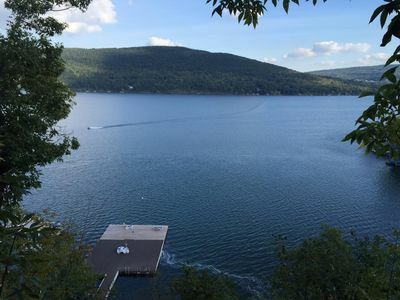 Come, enjoy, relax, and love the lake. We have for decades and still do. 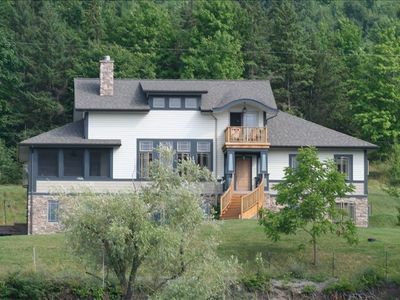 Timeless Memories - 6 Bedroom, Timber Frame Luxury Home on Canandaigua! 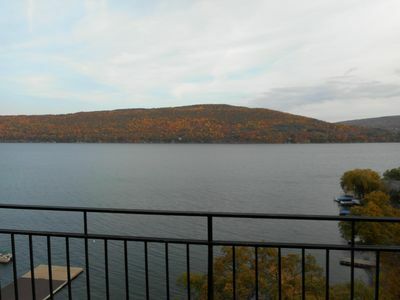 Canandaigua Lake Front Condo - Million Dollar Views! Get the best of both worlds......Enjoy the beach! Enjoy the lake! 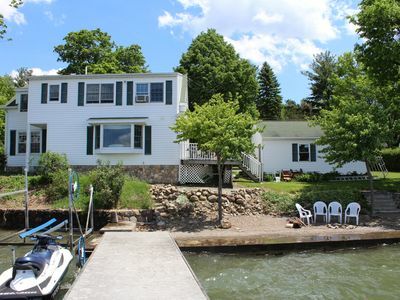 Serendipity - Peaceful Respite on Canandaigua Lake! 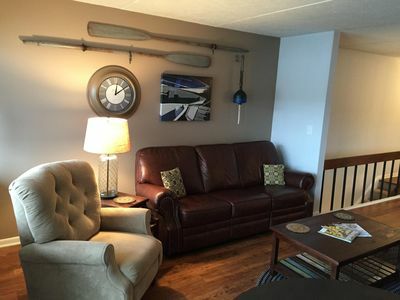 Deer View: "Modern Condo Minutes from Bristol Ski Mountain and Wineries"